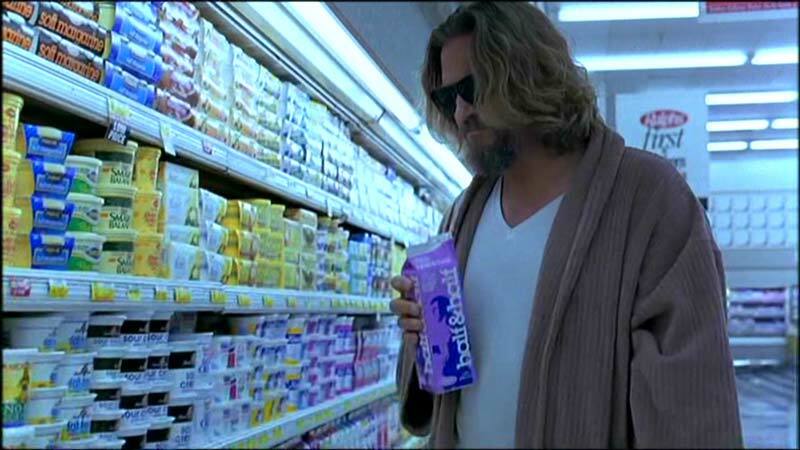 There are so many memorable scenes from The Big Lebowski, but my favorite is the intro scene in which the Dude, expertly played by Jeff Bridges, cruises an LA supermarket in his signature bathrobe for the sole purpose of purchasing half and half for his White Russians. He takes a sniff of the carton, and then pays for it with a check. For those of you unfamiliar, a White Russian is a drink made with half and half, Kahlua and vodka served over ice. It’s sweet and creamy and cold, like a milkshake, just not thick. And I love them. Recently, I was in South Beach, competing with my team, Full Throttle, in the Nautica Triathlon. Post-race, all the team members were relaxing poolside, replenishing lost calories with a variety of beverages. One of my teammates passed me a blended ice drink. when I asked what it was, she told me it was a Vonder Slide, which was essentially a White Russian made into a blended, frozen drink, invented by and named after another teammate, Karen. I decided to make a slightly healthier version (ha!) with almond milk instead of half and half. Don’t get me wrong, I love my half and half. But I thought I would try a little something different. Turns out, the almond flavor goes very nicely with the Kahlua. 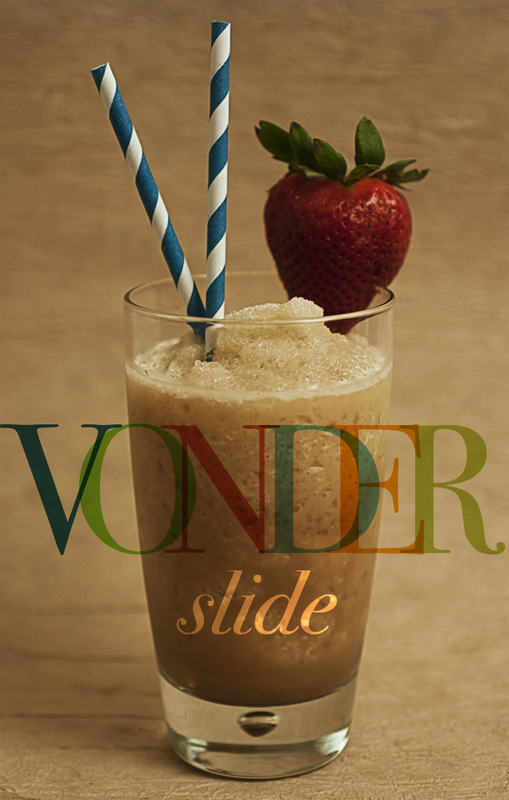 It also makes the Vonder Slide accessible to all my lactose intolerant readers – bonus! Throw all the ingredients minus the strawberries in the blender and whip it up to your desired consistency. You can add more ice if it’s not icy enough for you. Once you have established your desired consistency, pour your concoction into tall glasses, and garnish with a strawberry. Slip into your bathrobe and onto the pool deck. Karen is not only an accomplished mixologist, but also an incredible athlete. She placed fourth in her group at the South Beach Triathlon which earned her a spot on the podium. Congratulations, Karen!